Google honours Japan’s notoriously known art director and graphic designer Eiko Ishioka who won an Oscar and Grammy award. Once considered Japan’s best art director, Eiko Ishioka was trained as a graphic designer, she gained world fame and was recognised for being one of the stars in her field. 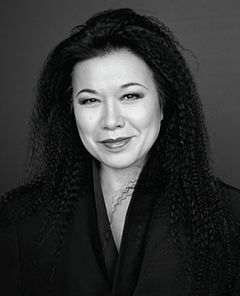 Eiko Ishioka was born in Tokyo, Japan, she started her career as a graphic designer when it was very much a male dominated industry, a man’s world. Her father had encouraged her to begin with as he was a graphic designer also, however he later had warned her of the struggles she may face as a woman in a majority male industry. Ishioka won a Grammy award for an album cover she designed, The image used was a black and white close up of the musician Miles Davis for the 1986 record Tutu, the shot was taken by photographer, Irving Penn. During her life, she earned an Oscar & a Grammy award, in 1992, she won an Academy award for her costume designs in the film Bram Stoker’s Dracula. In 2011 she spoke to the V magazine about her work on the film, “Dracula was my first big Hollywood film, and Francis gave me complete freedom by expecting never-before-seen, unique, timeless, and revolutionary design,”. Her birthday was celebrated by Google on July 12 , she was honoured with a doodle on the Google homepage, it was published and featured across North and South America, Europe and Australia. She went on to become director of costume design for the Beijing Olympics opening ceremony in 2008, for which she was recognised worldwide. Her versatility as an artist had no bounds as she had worked on projects such as print ads to costumes and the Olympics, this much loved Japanese designer lived art. Ishioka was diagnosed with pancreatic cancer and died aged 73 in Tokyo.